For my previous trip report with this airline, click here. One of the airlines that came out into my head was this airline. I was deciding on this or Oman Air. Oman Air has changed its schedule, it would depart KUL at night so that timing was great for me. Previously it stayed overnight at KUL and departed the airport at 0730 in the morning. However, I checked the airfare comparing to Tiger Air, Tiger Air's airfare was 1/5 of what Oman Air was offering and besides the last time I flew on this airline was with its old name, departing from the defunct Budget Terminal in Singapore, that was how long ago I flew with this carrier. I heard lots of complaints about this airline, so it was time for me to check out this carrier to see the situation of this airline myself. I made my booking about a week before departure and it cost me around $30 including tax, with seat selection and without the 20kg allowance, that's still cheap if you ask me. Sorry for the lack of photos, I deleted them by mistake. This airline offers both web and mobile application and both works fine. No issue with the either of them. I booked my ticket via the mobile app and I would prefer to view the flight details first before keying in my information, that's the only feedback I have. Jetstar. If you are a Krisflyer member (Singapore Airlines' mileage program), you are pleased to know that you can redeem miles on for vouchers for travel with this airline and Scoot. For more info, please click here. 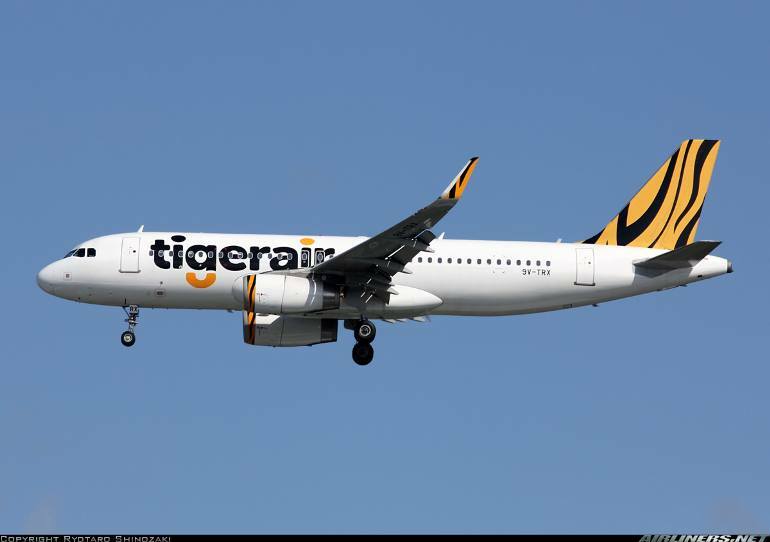 Besides TigerAir Singapore, there are also TigerAir Australia and Taiwan and you can also interline with Cebu Pacific, Cebgo and Scoot. 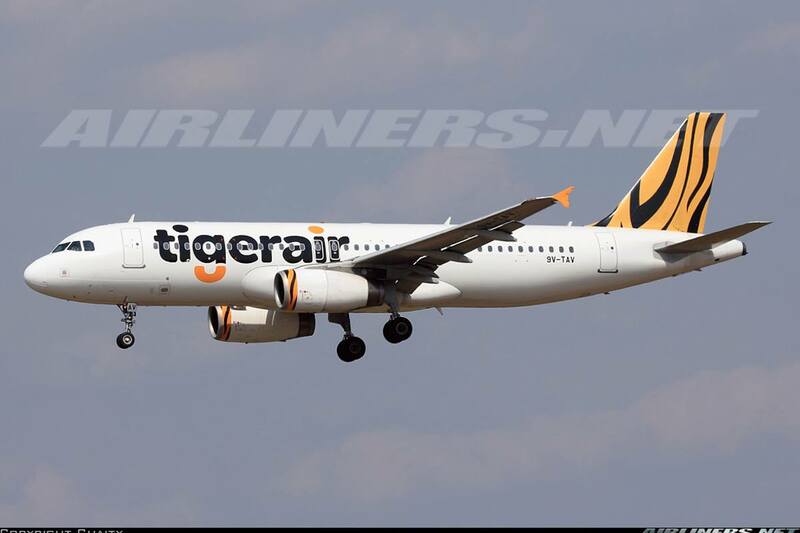 I haven't flown with TigerAir Australia and Taiwan so can't comment on either airlines. I spent a couple of hours at KLIA2 roaming around and enjoying some nice local food over there at one of the cafes. This is the famous KL's style Hokkien noodles. Air Asia is doing pretty well. Many leisure travellers were flying on Air Asia, thanks to the airline's vast network. Look at the number of flights this airline has! Tigerair is at the last row, row Z . Once the passengers check in their luggages and collect their boarding passes, they head for the departure hall either domestic or international departure. Do take note of this. Soon, the check-in counters were opened, and I made my way to the check-in counters. I didn't want to queue up, so I went to the no baggage counter to do my check in. As the airline doesn't offer online check-in, do remember to come early to do so. I have seen many cases of passengers missing their flight because they come exactly close to the closure of check-in time, please don't take that risk. Do come earlier, at least half an hour before it closes. Got my boarding pass and I am number 72 in queue! Wow! Keeping track of which aircraft taking me home, I spotted in on flightradar24, it was 9V-TAV - a non-'sharklets' equipped Airbus A320 was to take me home. I was disappointed initially, as I wanted the A320 with 'sharklets'. I will definitely try again. I made my way to the gate L1, quite a short walk in fact. Checking my flight, it was on schedule. Glad that it was not cancelled or delayed. There are cafes at the air side of KLIA2. Its a huge improvement over the old LCCT. The gate was not opened yet so I hanged around near the gate for a while. There is free WiFi so you can log in for free and use it for 3 hours. Once I was inside, I sat down and waited for the announcement to board the aircraft. It turned out to be a full flight. My favourite moment - boarding the aircraft! I didn't expect much from this airline, as I kept my expectation very low. However, I was pleasantly surprised when the crew greeted me with enthusiasm and it was not just at the beginning, through out the flight, this set of crew were better than what I expected. I got to my seats and a couple sat beside me. I can tell you how tight the seat pitch was, it was tolerable for an hour or two, no more than that. Here are some photos of the cabin. The friendly crew greeted us as we walked past her to our assigned seats. There were a couple of times the announcement from the crew telling us to sit at our assignment seats and make way for others, that makes sense. Black leather seats - similar to Air Asia's. Look at how tight the seat pitch is, its around 29 inch. Not good for a 6 foot 4 guy like myself. For a 50 mins flight, it was bearable. This is my seat, I was hoping for the 2 seats beside remain vacant but that hope was dashed about a few minutes later. The airline is promoting its mobile app which is quite user-friendly to use. Waiting for more passengers to enter the cabin. My row of seats was occupied shortly after this photo was taken. Photo taken during take off. The short flight ended soon and we disembarked at gate E2 of Terminal 2, Changi Airport. Some photos of the seats while I made my way out. Much better legroom space at the emergency row, its worth paying more for those seats. For flights more than 2 hours, I would definitely choose this seat. I was amazed when the crew greeted us goodbye, and one of them even bowed when we left the aircraft. Wow! I was shocked for words. The service on board this flight is probably the best so far flying with Singapore's Low Cost Carrier and even Air Asia. The Captain was very detailed when he made his announcement, he's a young Chinese probably in his mid-20s. I was impressed with him for keeping the passengers in updated with useful information. Announcements made were clear and the crew were helpful and professional through out, you can't ask more especially on a Low Cost Carrier. The flight to Singapore was uneventful, it was smooth throughout and I managed to snap some window shot photos. Before that, let me share what's inside the seat pocket. Hot meal was offered on this flight but I didn't order since its short and I wasn't hungry at that time. After engines started and taxi clearance given, we taxied to runway 33 threshold. Runway 33 seemed less busy during that period. An Air Asia X's Airbus A330 taking off. Soon we stopped at this point and waited for about 15 minutes. I had no idea why we were kept waiting since there wasn't any take-off or landing activity going on or any sign of the runway being closed. The Captain didn't say much but he told us that another 10 minutes, we were on our way. 10 minutes later, we were cleared for take off. The First Officer was doing the take off and soon we were climbing over the city, heading towards our destination. Seat belt sign was turned off about 10 minutes after take off, the ride to Singapore was smooth. Cruising flight level at 270. We started descend after 10 minutes at cruising level. It was indeed a beautiful day for flying. We were soon on approach to Singapore, no holding pattern, just a big loop over the Indonesian islands as we are assigned to runway 20R for arrival. It was getting dark as we arrived in Singapore. Touched down smoothly and we taxied over the overhead bridge via South Cross towards our terminal 2. Usually runway 20R is used for arrivals regardless on which terminal the airline is using. We parked beside this beautiful Swiss's Airbus A340-300 which was to head home to Zurich that evening. That was it, my trip came to an end, it was an enjoyable one and I have to fly with Tigerair for the "Sharklets"
Here is the video of the take-off. I am pleasantly surprised with my experience with this airline. I was expecting a flight delay and possibly average in-flight service, but it was the other way round. We pushed back earlier than the schedule time and even though we were at the KUL's runway 33 threshold for a good 15 minutes, we landed early. The cabin and flight crew impressed me as they kept us updated and we were well taken care by them, I would definitely fly with this airline again and perhaps on a longer sector with them. 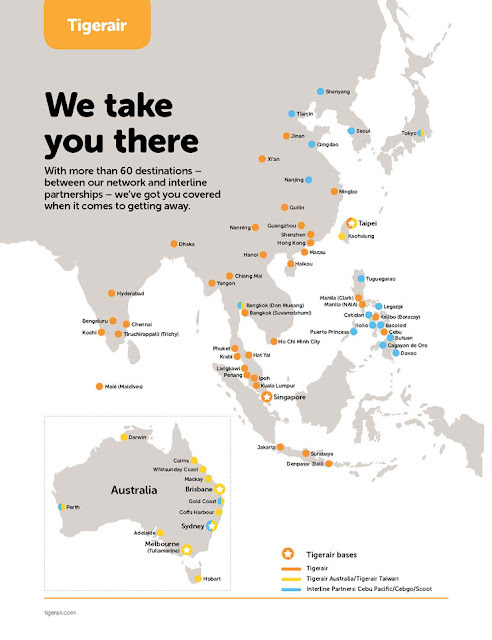 TigerAir also has Taiwan and Australian based carriers that you can consider flying with. 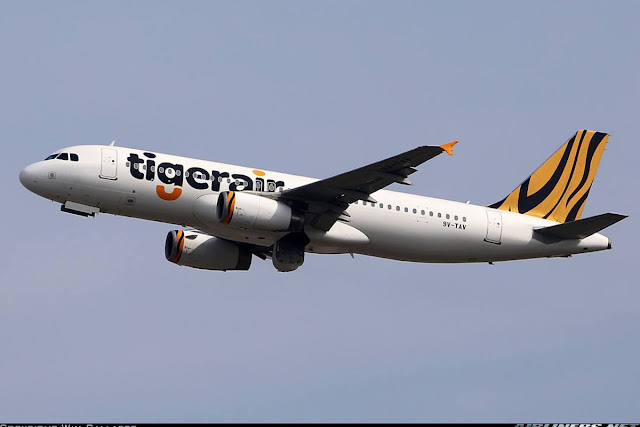 From my friend's experience, TigerAir Taiwan's flight service was excellent on his flight, as for TigerAir Australia, I haven't heard much positive reviews of this airline. For tall people, do pay more for the better legroom space, its definitely worth it. I sat at the normal seat and it seems tighter than Air Asia's. Thanks for reading this trip report! 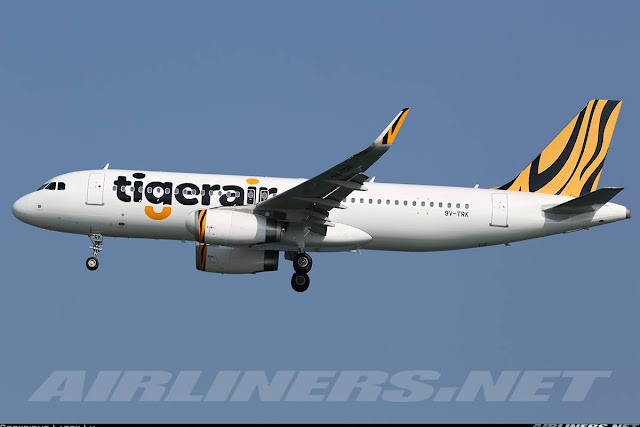 You can check out my Tigerair Taiwan trip report over here.